Whenever you think of a baby shower or birthday party, you automatically figure there will be some delicious sweet treats, right? It’s usually the host’s favorite delight for the attendees to enjoy. In addition to the cake, there is a party theme that the cake is usually centered around. 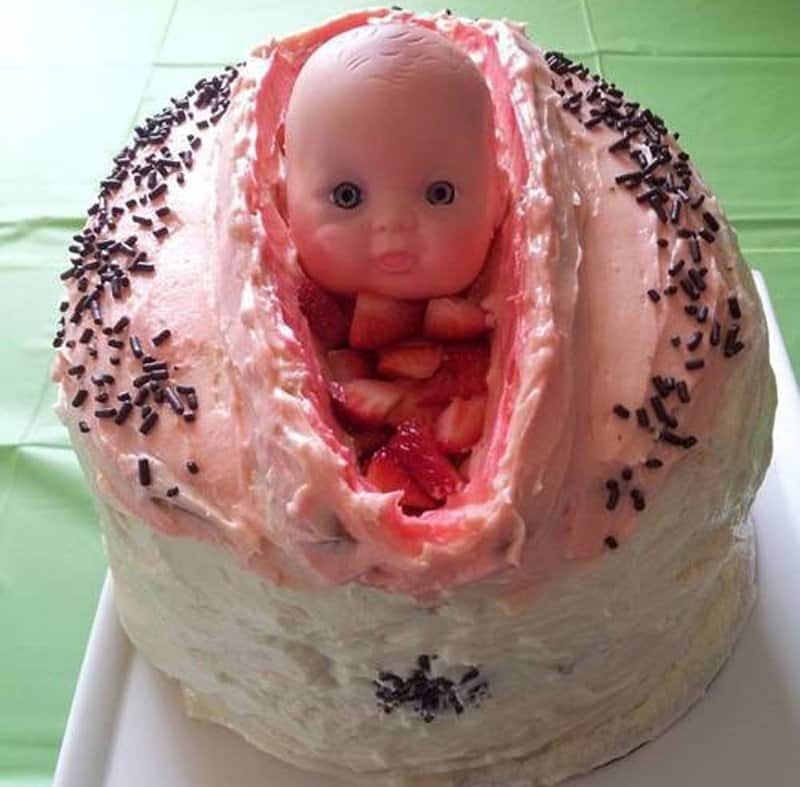 For example, the cake may reveal whether or not the mother is having a girl. The cake may reveal if the person is a sports fan or music fan. Some of the themes are original and sometimes just plain old wacky. Either way, it reveals something special about the honoree. 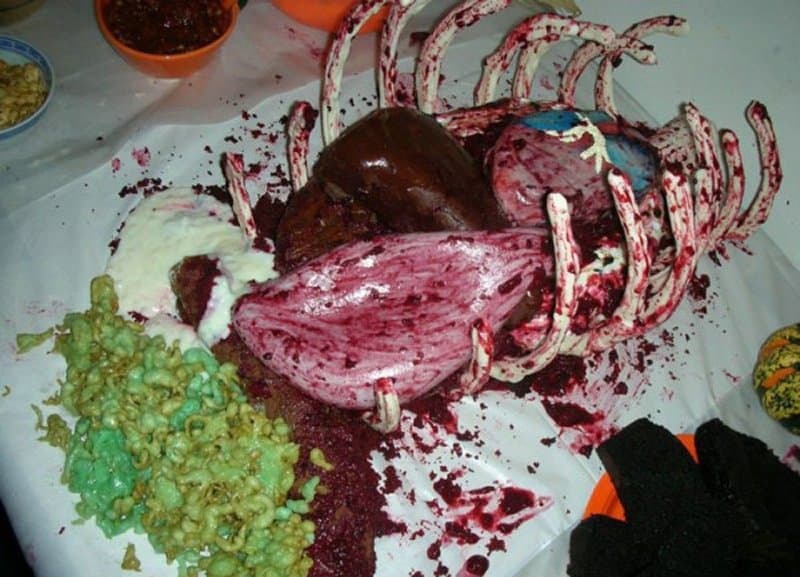 These party dessert photos reveal that some people have an odd and gross sense of humor. They are very creative, however, just hard to stomach. 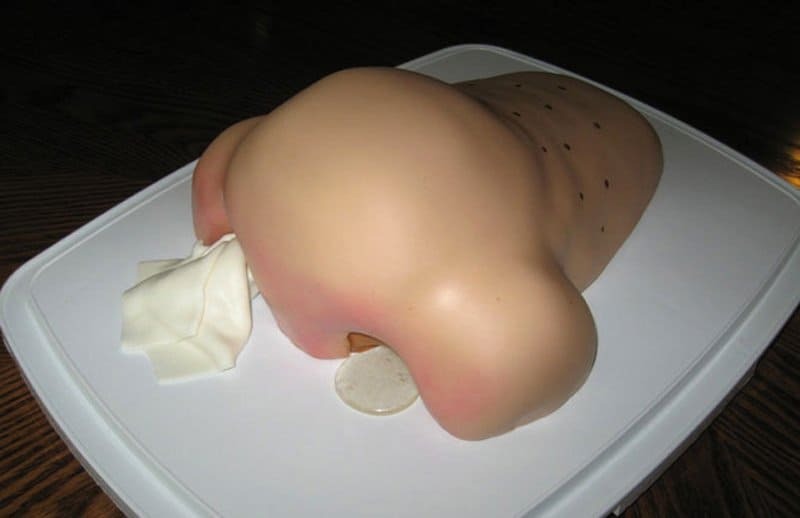 This is a selection of the most repulsive and horrible dessert designs ever! Some of them are so gross that it makes you wonder if anyone actually ate any. These lady fingers are made to look like a bloody monster’s and are filled with cherries. 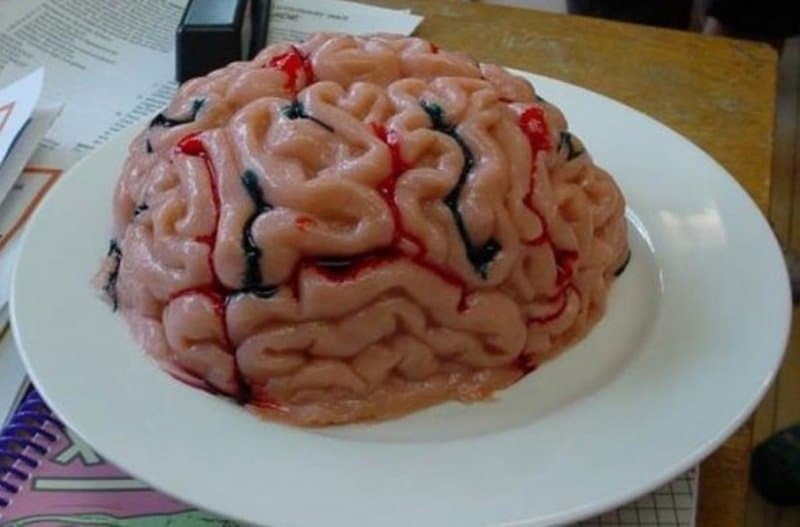 Maybe it’s a get well birthday cake, but it definitely commands attention. Either way, we feel sorry for Kathy. 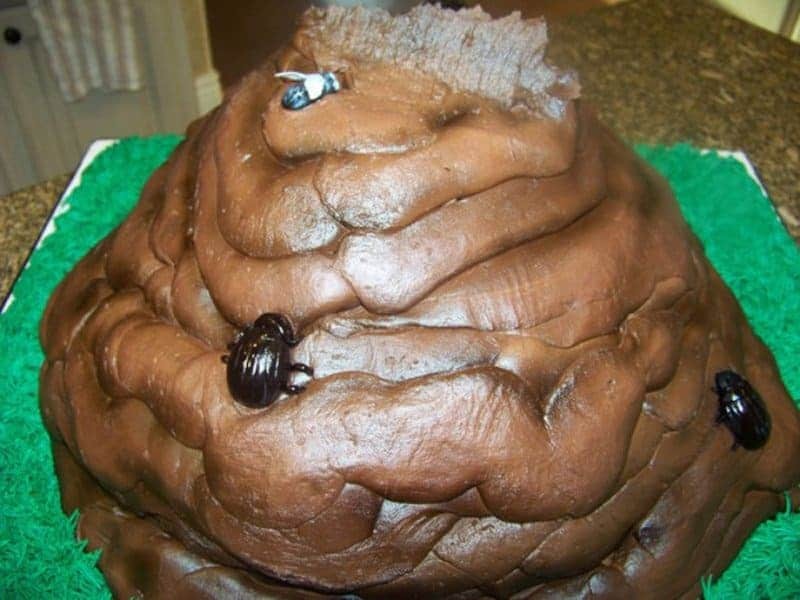 A crap shaped cake with flies and bugs to match. Chocolate of course. 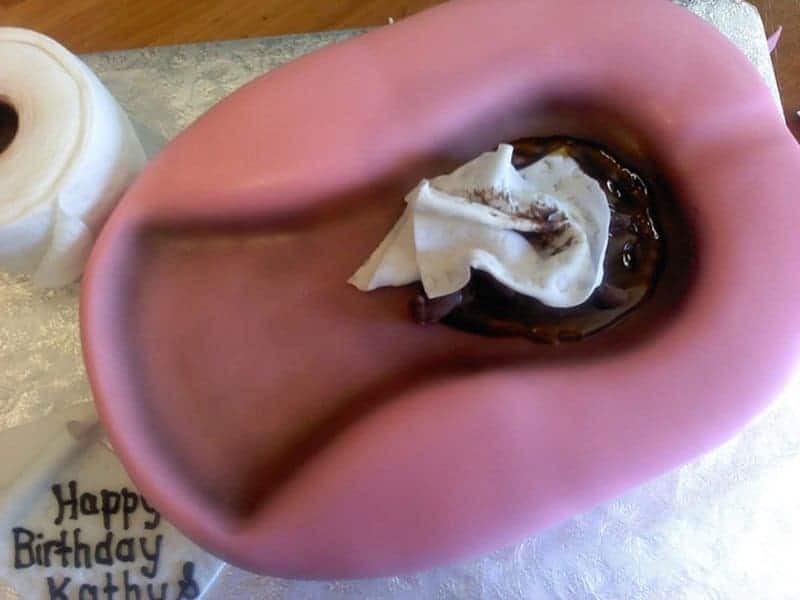 This cake portraying a foot with a nasty toe is perhaps for a cosmetologist. 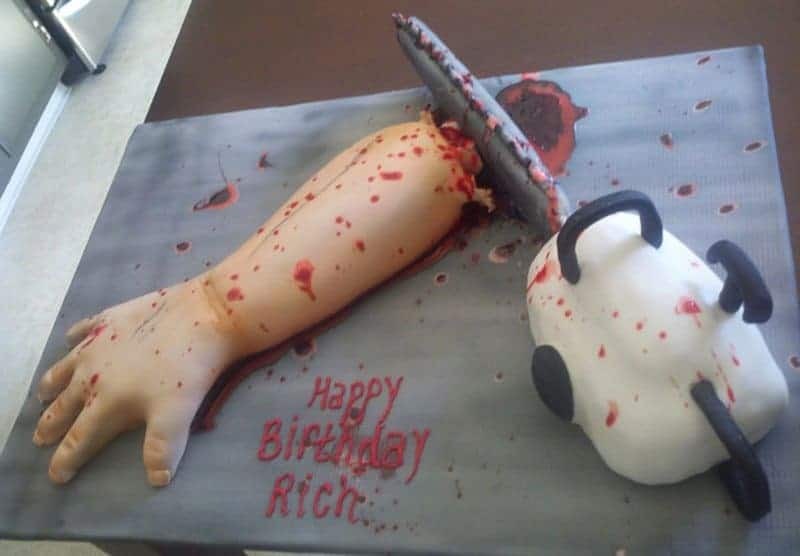 This birthday cake is a horrible sentiment for an amputee. This gross looking candy dish is meant look like some type of animal or thing that was already devoured. 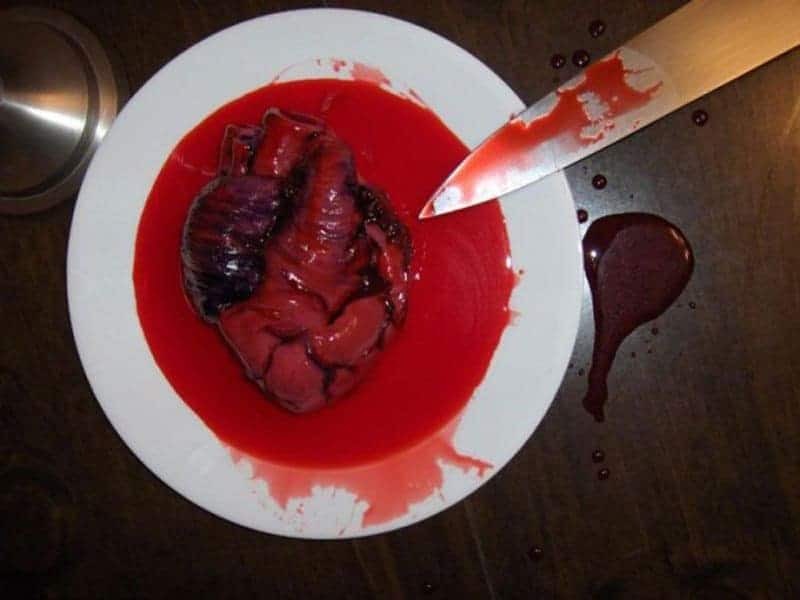 Here’s a heart shaped jello mold that’s a gushy mess with cherry red filling. 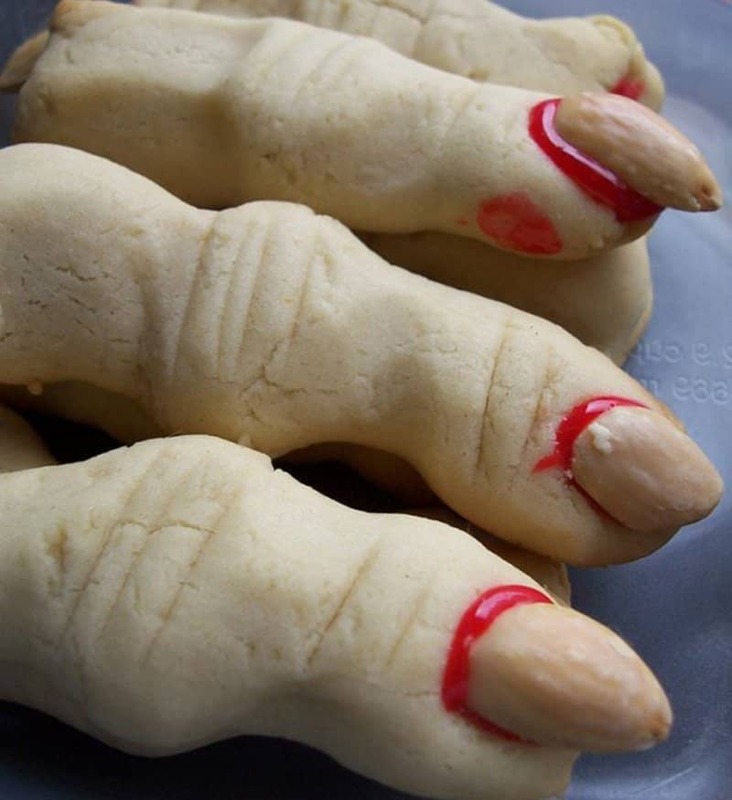 These are individual treats if you can stomach them. 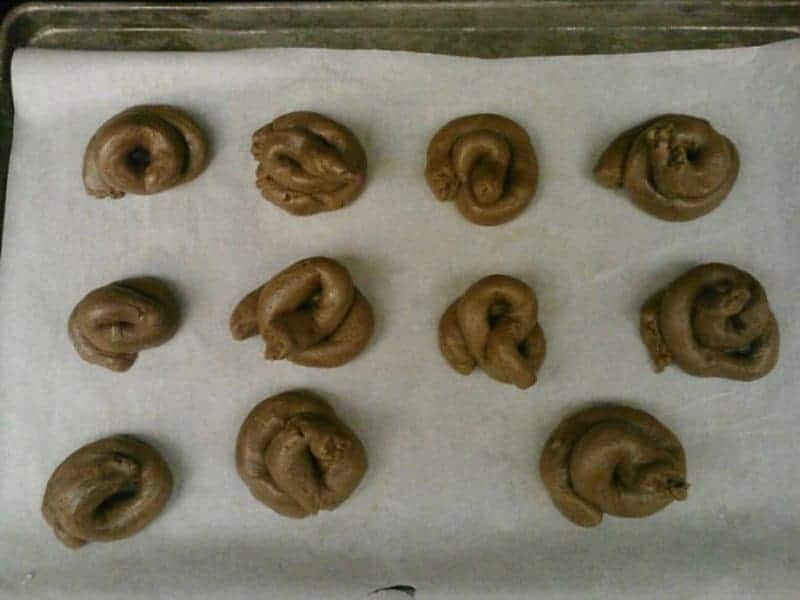 Would you eat these turd-shaped chocolate cookie treats? 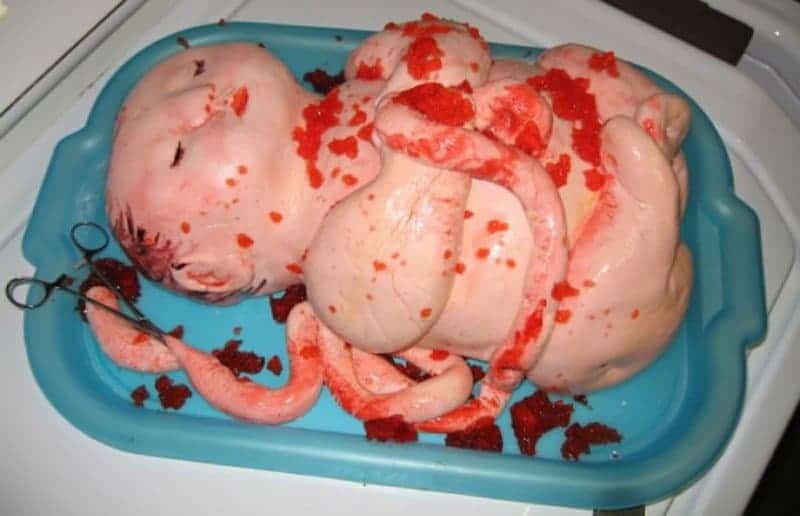 A newborn kid cake with the umbilical cord still attached and strawberry amniotic residue. 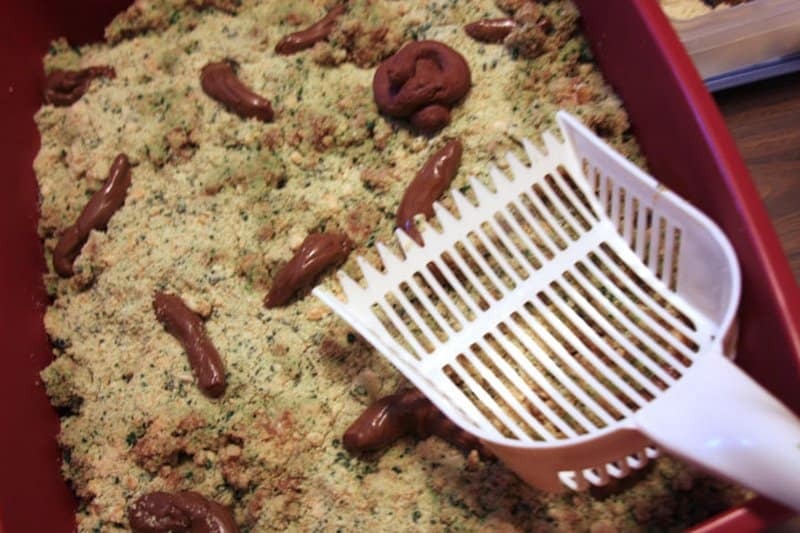 This cake looks horrifyingly like a recently used litter box with all of the fixings! 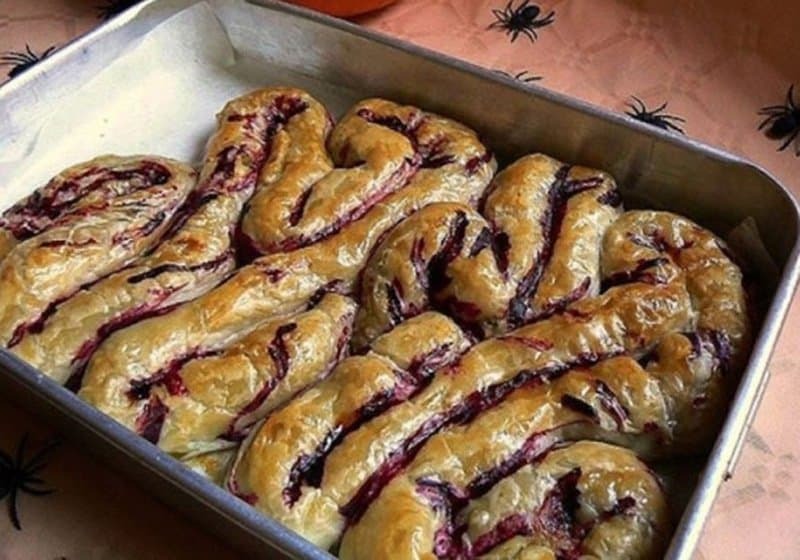 This pastry dish looks just like someone’s intestines. 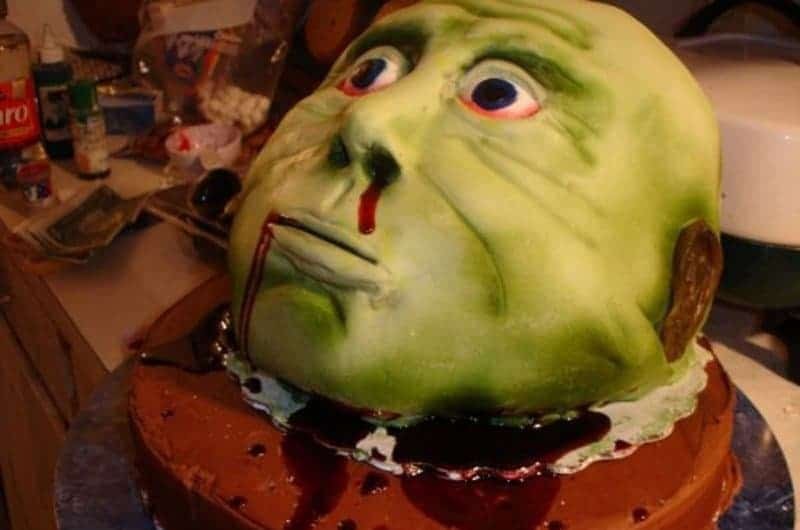 This decapitated Shrek cake is so creepy I wouldn’t even want to get close to it. 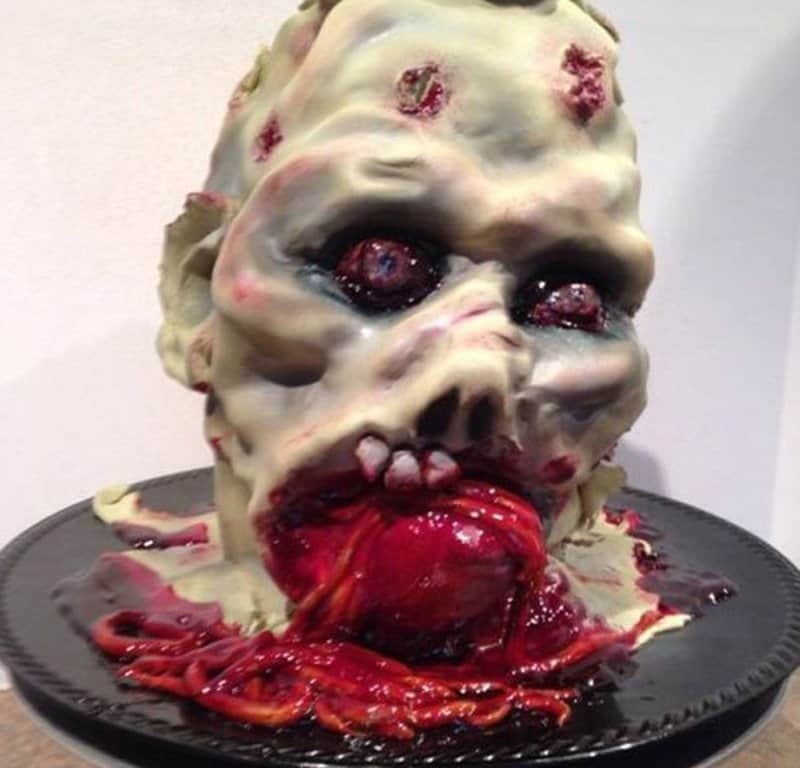 This mini zombie dish, complete with your own blood filled apple, gives us nightmares. Imagine seeing several of these on the serving table! A runny nose is not a good site at a party, especially when it’s the dessert. 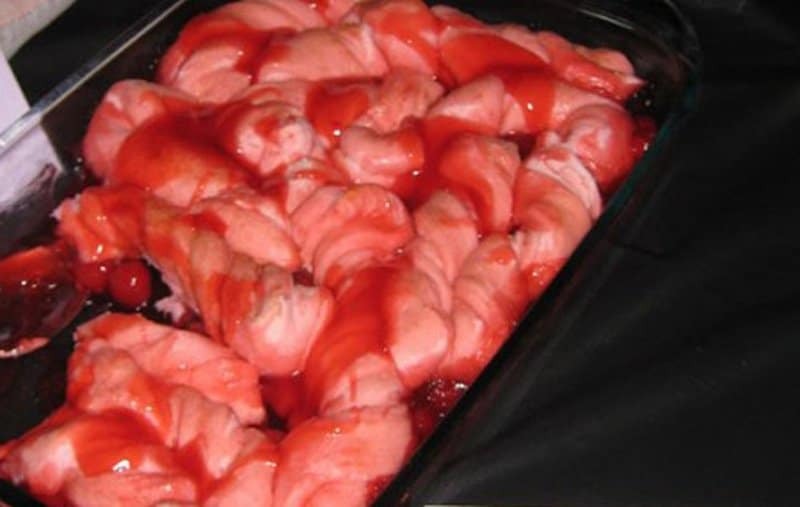 This dainty bloody intestine dish is perfect for the female zombie. It’s made with delicately light pastries and cherry filling. 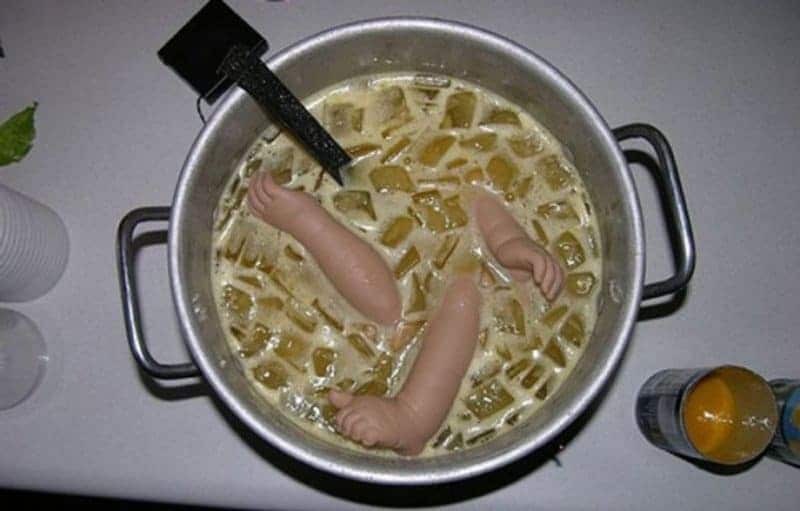 I can’t imagine taking a bite of this while the baby is there, peeking out and munching on strawberries. Great frozen dessert to make you squirm, even though it is actually a nutritious frozen yogurt. These are individually sized parfait dishes that look like human soup. 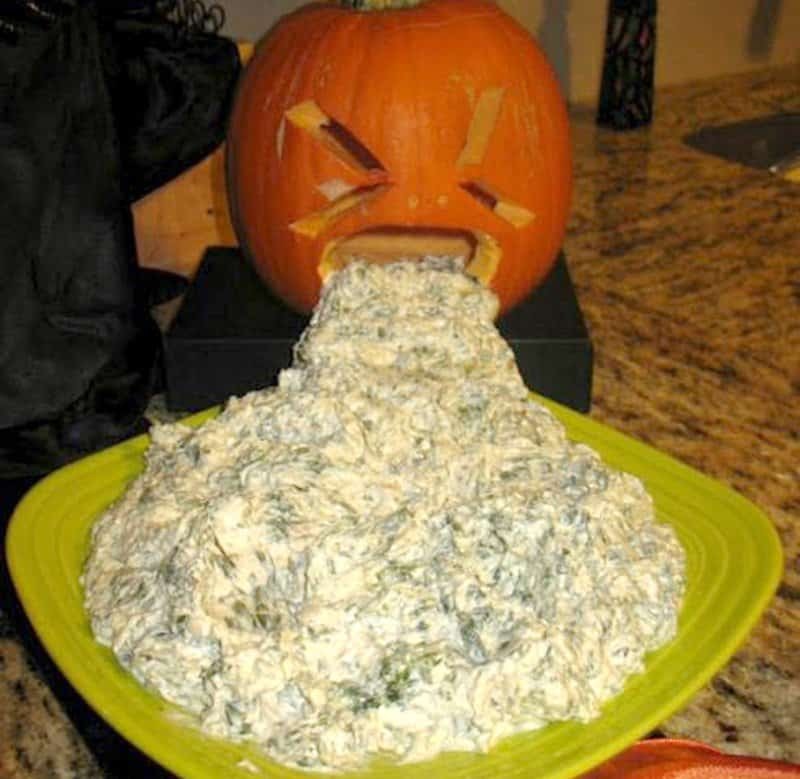 Jack O Lantern had way too much to drink and threw up all of his jello in one heap. This chocolate dessert is the epitome of gross. It features gobs of chocolate pudding with a giant gummy worm. This dish commands attention because it looks like a bloody turd that came from the worst case of diarrhea ever!